Selkirk, Scotland, UK. 4 May 2017. Campaign launched to save Grade A listed building, the former studio of textile designer Bernat Klein outside Selkirk in the Scottish Borders. 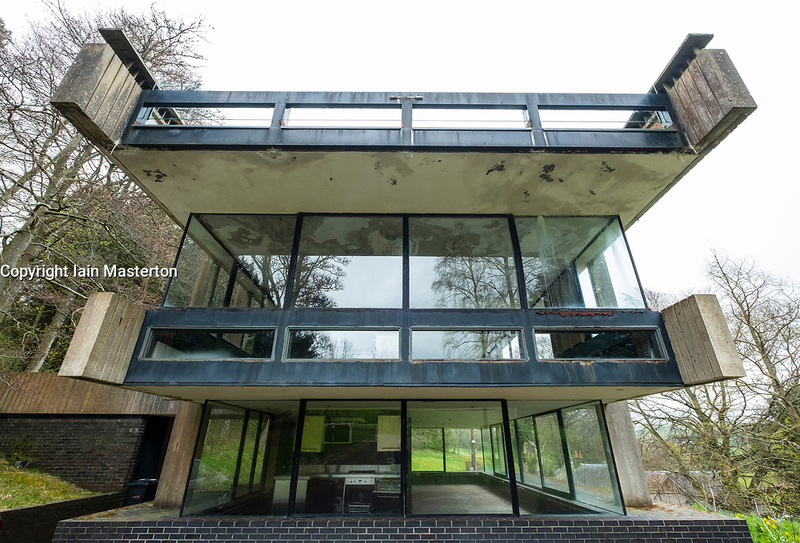 Designed by architect Peter Womersley it has fallen into disrepair.